4-10-18 We’re off on a honey run today! If you went to the AMMA Conference, you may have gotten to hear Evan Himes speak about Dutch Gold Honey and the honey market, and maybe even gotten to taste the varietals Sergio made from their honeys. Evan is coming on tonight to talk with us about what Dutch Gold is up to, discuss varietals of honey, and dig into the honey market. And a little bird told us that we converted him, and he’s now making mead, so we’ll talk mead (of course) as well. A trail runner himself, Evan is a member of the Sales & Marketing Team at family-owned honey packer, Dutch Gold Honey, Inc. With a focus on ingredient sales, he uses his experience with handling bulk ingredients in a startup wholesale bakery operation to provide support to customers of all sizes. 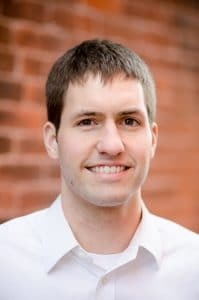 Evan prepares and delivers tailored technical presentations to mixed groups of marketing, purchasing, operations, quality assurance, and R&D food industry professionals using his degree and first career as a high school mathematics teacher. A man of multiple hats, he also managed a brand refresh and steered the development of a new website for Dutch Gold. In his free time, Evan serves in the Army National Guard, remains dedicated to health and fitness, and appreciates outdoor activities. He enjoys living in the city of Lancaster, Pennsylvania and spending time with his wife, Sarah. Come hear Evan talk honey, and we’ll have tons of questions for him!